Here is an overview of the advanced safety features you're likely to encounter when shopping for a new car, along with examples of what carmakers call their versions of the features. FORWARD COLLISION WARNING: If you come up behind a slower or stopped vehicle and don't show signs of braking, the forward collision warning system will alert you that an impact is imminent. Some carmaker names for this feature include Predictive Forward Collision Warning (Infiniti), Forward Collision Alert (Chevrolet) and Forward Obstruction Warning (Mazda). AUTOMATIC EMERGENCY BRAKING: This system will become a standard feature on nearly all cars and light trucks by 2022, thanks to an agreement among most carmakers and NHTSA. If the vehicle senses an imminent collision, the system will automatically apply the brakes to avoid or minimize an impact. It is often bundled with forward collision warning and goes by names such as City Safety automatic braking (Volvo), Low Speed Forward Automatic Braking (Cadillac) and Frontal Collision Warning with City Collision Mitigation (BMW). ADAPTIVE CRUISE CONTROL: This system is less an active safety feature than a way to reduce driver fatigue on the highway. Let's say you set the cruise control at 70 mph. If a you catch up to another vehicle or one gets into your lane, the system will apply the brakes to slow your car down and follow the vehicle ahead at a preset distance. The naming is fairly standard, with the exception of more advanced systems such as Super Cruise (Cadillac), ProPilot Assist (Nissan) and Autopilot (Tesla). SHOULD YOU GET IT? It depends. These systems require you to trust the car to speed up and slow down on its own. If you're not OK with that or don't use cruise control at all, save your money. And, just as with some drivers, some systems brake more smoothly than others. 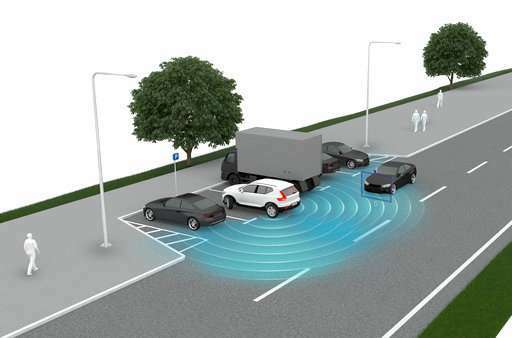 BLIND-SPOT MONITORING: This system will scan the rear corners of the vehicle and light up your side mirrors when it detects a vehicle in those zones. It's one of the most common new safety technologies, available on about 73 percent of 2017 models, according to Edmunds data. Some automaker names include Side Blind Zone Alert (Chevrolet), Audi Side Assist (Audi) and Blind Spot Detection (Hyundai). LANE DEPARTURE WARNING AND LANE KEEPING ASSIST: If your attention wanders and your vehicle starts to drift out of the lane, a lane departure system warns you with a beep, vibration or visual cue on the instrument panel. SHOULD YOU GET IT? Yes, but to get the most out of it, make sure to get a system with lane keeping assist, not just the warning. If the car's camera can no longer see the painted lanes, or if you veer out to make room for a cyclist, it will trigger an alert. Some may find the beeping annoying and choose to mute the alerts. That's why the lane keeping function, with its noiseless, more subtle physical cues, is more useful. REAR CROSS-TRAFFIC ALERT: This system is most useful when you're in a parking lot and have to reverse out of a space. Sensors on the rear bumpers detect an approaching vehicle and warn you that it's there. Names include Rear Cross Path Detection (Fiat), Moving Object Detection (Infiniti) and Rear Traffic Alert (Volkswagen). SHOULD YOU GET IT? Yes, but don't expect it to catch everything. As the name implies, the sensors will spot objects crossing from the sides of the vehicle. If something or someone is directly behind the vehicle, you won't get the alert. Most of these safety systems are good to have, but you'll usually find them on higher trim levels or bundled in optional packages. Make sure you rank your list of must-have safety features before making a final purchasing decision.